Vegetable and fruit gardening can be very rewarding when you know how to do it correctly. 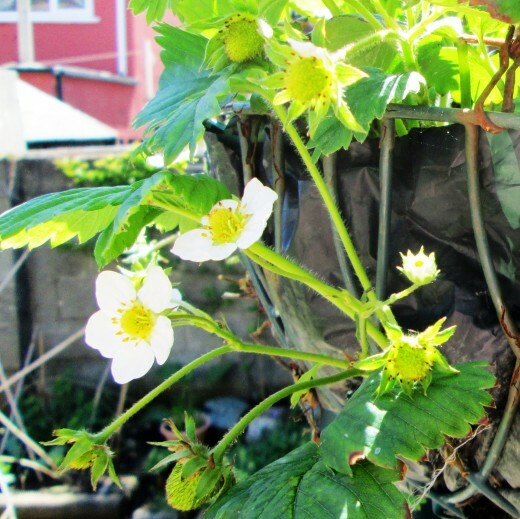 You can grow strawberries in a small garden if you use pots or a hanging basket. 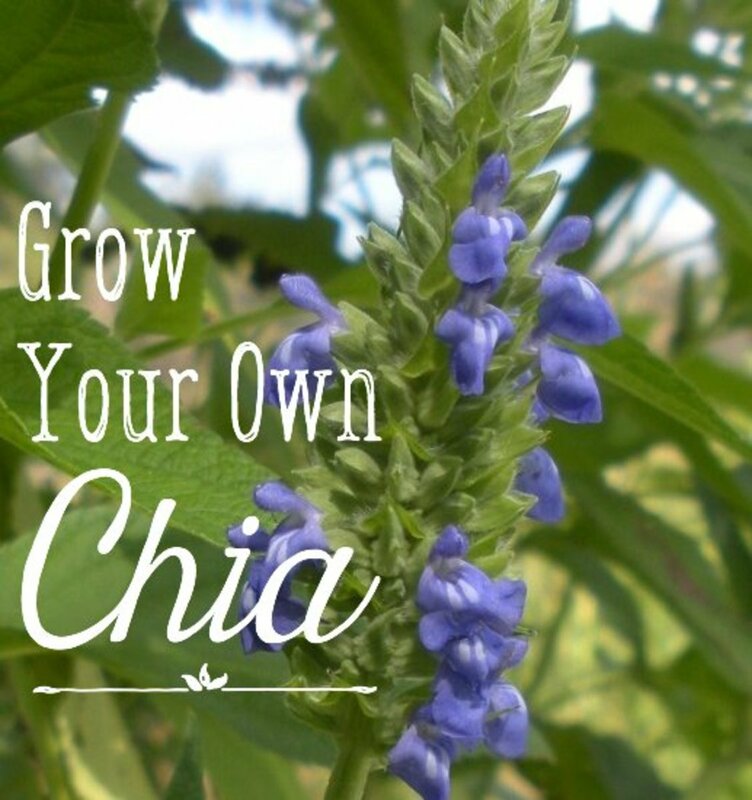 I explain all about planting, growing and harvesting them. How to take care of them so you will get a great harvest. I also added some jam recipes. There are a few different groups of strawberries, but the two main ones are summer fruiters and perpetuals. 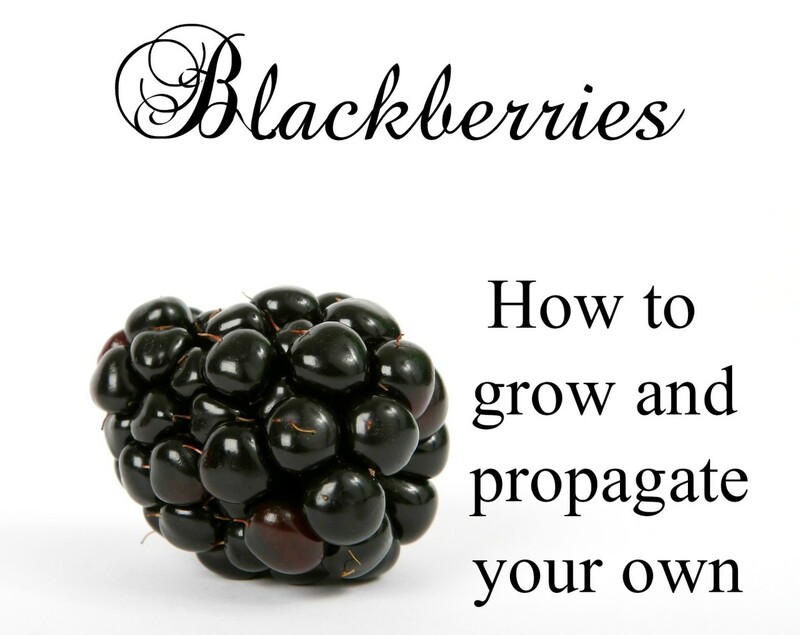 The summer fruiting varieties give you one crop in the summer, and the fruit is larger. The perpetuals will give you fruit all through the summer and into early autumn. Strawberries can be planted straight into the ground or in containers such as pots, boxes, garden bags, or hanging baskets. Below, I show you how to plant and grow them in a small garden or container and explain how to collect them and plant runners. 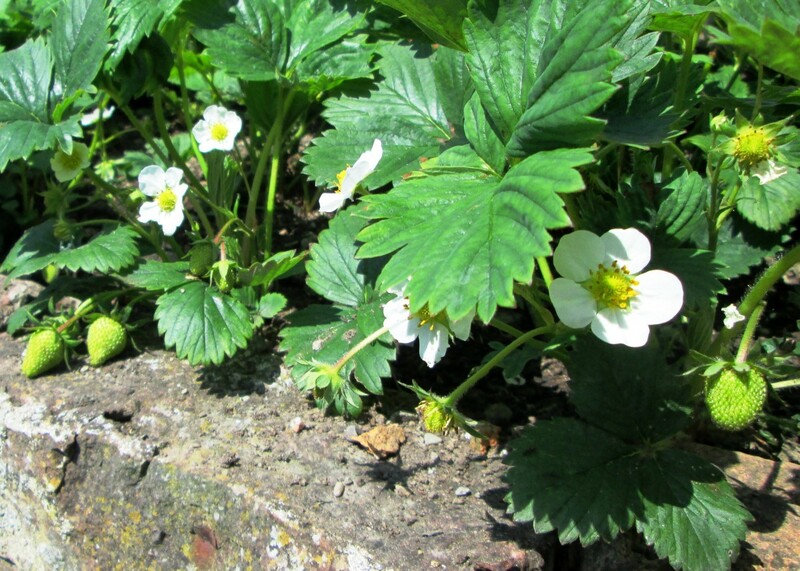 When planting strawberries for the first time, it is best to buy starters from garden centres or stores. These main plants will flower and produce fruit for three to four years in the same plot or container. You will also be able to harvest new plants from the runners that are produced every year. Place each plant about sixteen inches apart, in rows of about two inches apart. The roots on these plants are very large and hard and will need a generous hole. 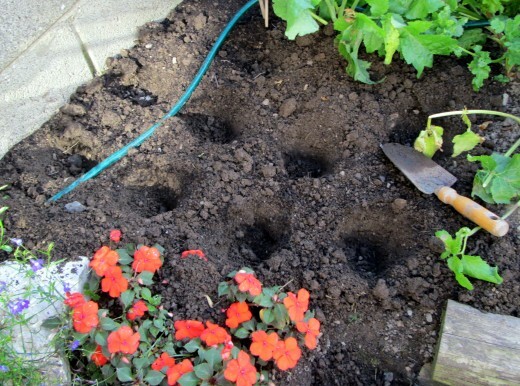 Once the hole is large enough, add some fresh compost. Place the plant in the middle and stretch the roots over the fresh compost. Do not bend the roots. If they're too cramped, take the plant out and dig a bigger hole. Once the plants are in, cover them with soil and press down around each plant. Do not cover the crown of the plant or it will rot, but make sure the crown has some soil around its edge or the plant will dry out and die. Give the plant a good watering. They will start to grow once the roots have established themselves. Keep them watered and remove any weeds that crowd around them. After a few weeks, the plants will produce runners. These are small baby plants that are attached to the mother plant by a long stem. These can be cut off if not needed or fixed to give you new plants for next year. 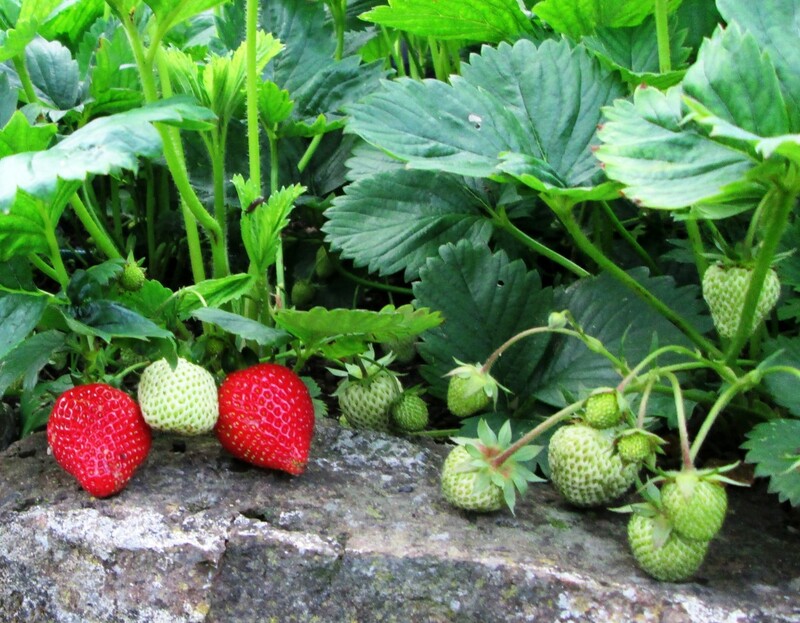 Strawberry plants only bear fruit for about five to six years. But if you cultivate their runners, you can have an everlasting supply. Pick out a runner and look at the baby plants on it. Pick one that has the best root system and is the strongest. If there are others after this one (closer to the tip of the runner), then cut them away. If the others are before this one (between the chosen runner and the main plant), then leave it alone for now. 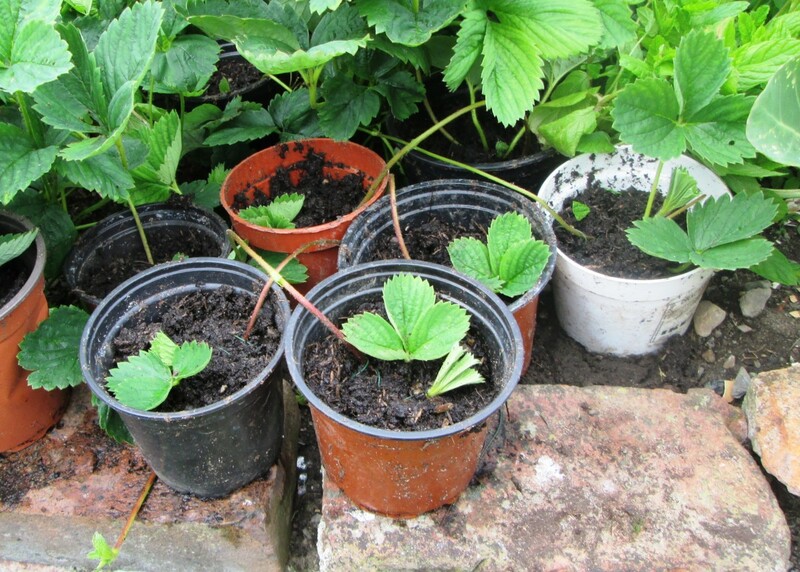 Place the preferred baby plant either in a small pot with compost or in the ground of your strawberry plot. If your plants are growing in a container, then it is best to use a pot for the runner. Cover the baby plant with soil up to the roots. Get a thin wire and bend it over the runner to hold it down in the soil. Water and leave for a few weeks. You will see that the roots have taken when there are new leaves forming. Then, you can cut off the runner from the parent plant. If they are in pots, leave them there and water until you want to transplant them into their final growing place in October or next spring. If you fixed the runner in the same plot as the parent plant, then you just have to cut the runner once the new plant has rooted. Last year, I knew I had to completely move all my strawberry plants from their plots because they had been there for four years. This gave me the opportunity to make two new smaller plots in the garden and to turn the old strawberry plot into a flower garden. I had a lot of runners last year, so I potted some of them directly into four window boxes that I planned to display in my large concrete lane way. Keep them well watered as they grow. You will see the white flowers coming up on the plant first. They make a nice display so can double up as a summer flower plant, too. 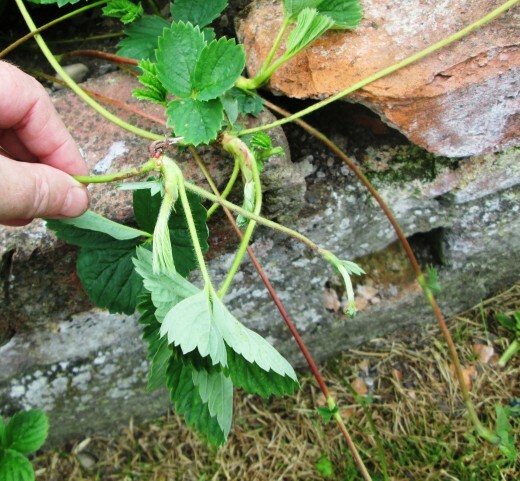 This is where the strawberries need to be pollinated by the birds, bees, and other insects. You can help this process along by brushing a small, soft paintbrush from one flower to the other. Each flower will produce a fruit. This usually takes about thirty to thirty five days, depending on the weather. Water the plants regurlary and do not let the soil dry out when the fruit is growing. Now is also the time to place some straw or other fine mulch around the base of the plants. Add some broken up eggshells or, if you live near a beach, broken shells on top of the mulch. This will stop slugs and snails from getting near them. For extra protection from birds, place a light net over the plants once the strawberries start to appear. I picked one up from a field where they had left it after baling the grass when I was walking my dog. Or you can use an old net curtain or light material as long as it lets in the sun for the berries to continue to grow. 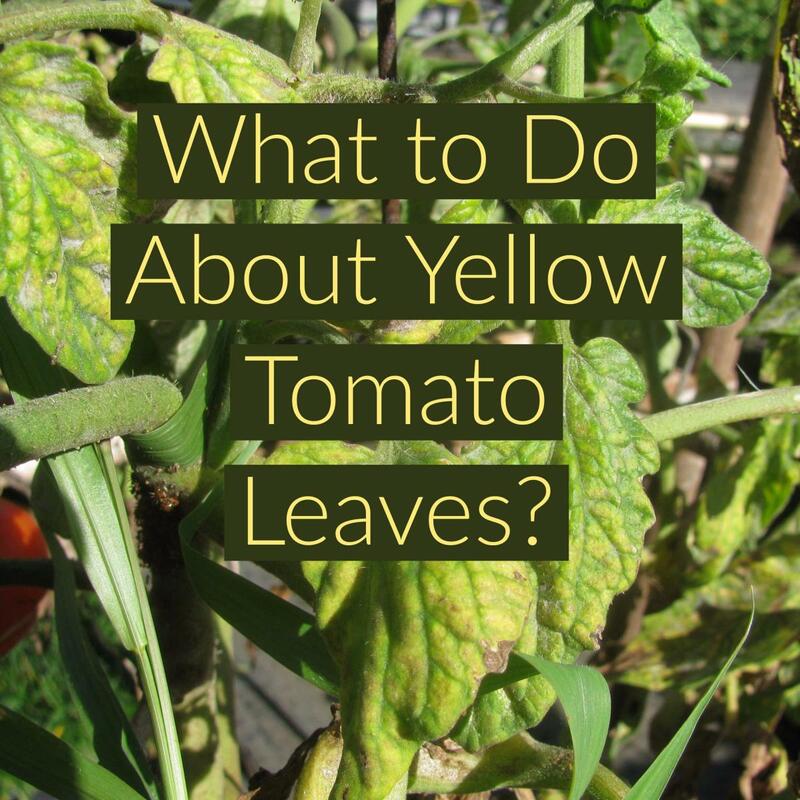 Check the plants everyday once you see that some of the fruits are turning red. Pick the ripe ones and leave the ones that are still green alone. Always pull the fruit from the stem. 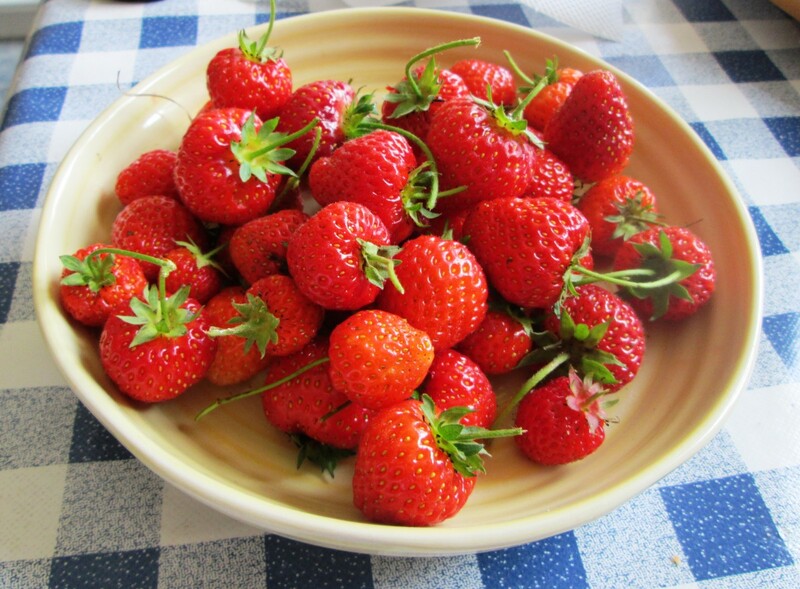 You will be picking fresh strawberries for up to four weeks. They go bad very quickly if washed, so leave them unwashed until you plan to eat them. 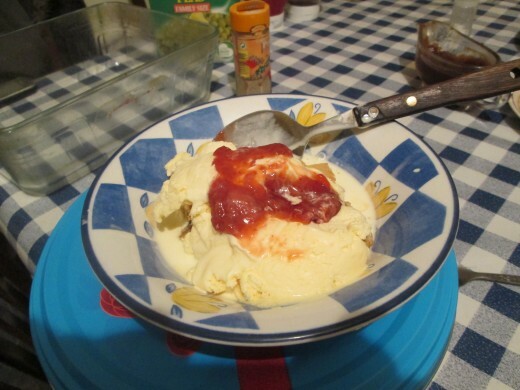 If you plan to make jam, strawberries can be frozen and will keep for up to three months in the freezer. Even after you have picked all the fruit, the plants will continue to grow. 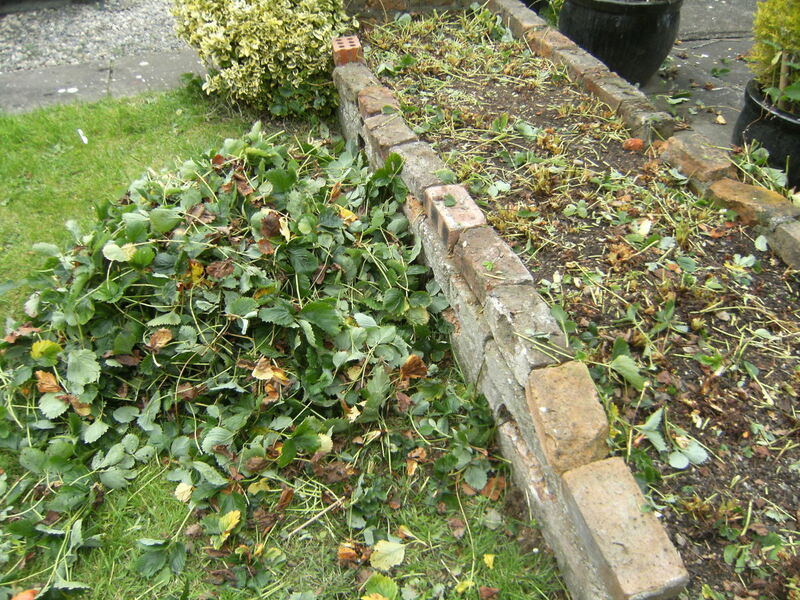 You will see the leaves begin to wither and then it is time to clear them away. Cut off all the leaves right down to the crown. Rake them up and the mulch with a hand rake. Place the dead parts in a garden waste bag. If you are doing this for the first time, do not be alarmed. It looks drastic and you may think you have destroyed the plants. I have added photos here so you can see how it looks. Believe me, you will see your strawberry plants grow back full of life in the spring. Cut a plastic sheet the to fit the size of the inside of the basket. Poke lots of drainage holes in it. Place the sheet inside the basket and fit it into place. Add some stones or foam for added drainage. Put about 12" of potting compost into the basket. Cut a large strip at the edge of the bottom of the basket where you want to place the first plant. Push the roots of your first plant through the plastic and into the basket. Repeat this around the bottom of the basket several times. 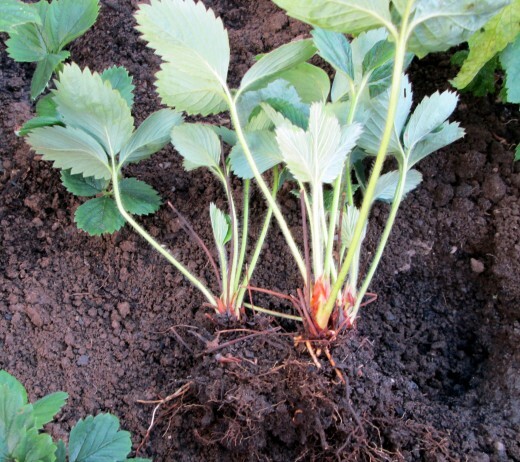 Press the soil down firmly around these newly planted strawberries. Add more soil on top of the roots and press down again. Take a plastic bottle and remove the top. Then cut the bottom off. Place the bottle with the mouthpiece face down into the compost. 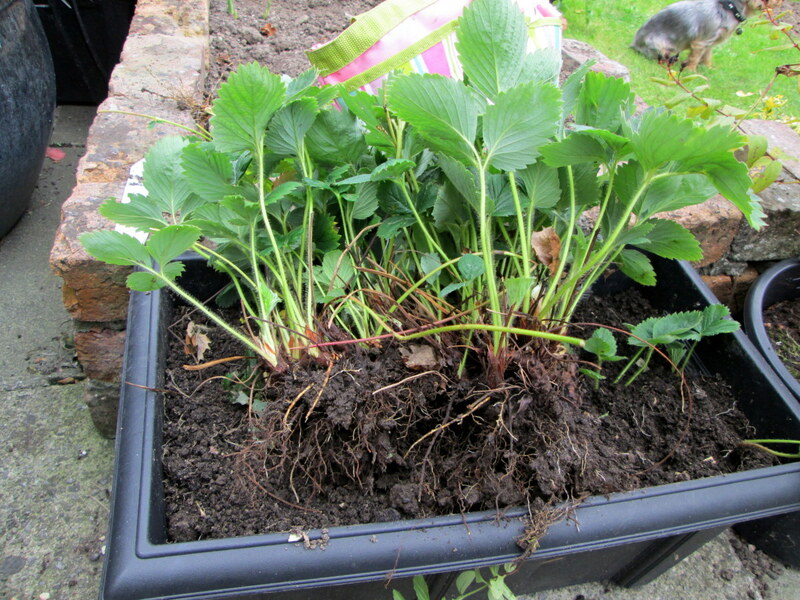 Add about another ten inches of compost to the basket and repeat the process of planting some of the strawberries around the edge, but remember to leave one side of the basket free of plants. This will be the side that will remain mostly in the shade because it will be facing the wall. Plant the remainder of your plants inside the top of the hanging basket. Water very well and hang the basket on a garden wall. When you are watering the plants as they grow also put the hose into the plastic container and let the water run through it. This will help you get water directly to the lower roots. Here in Ireland, you can buy sugar that is specially mixed with pectin for making jam and marmalade. This is called jam sugar. You can use ordinary white sugar when making this recipe. But because strawberries have very little natural pectin in them, it will take at least another hour of boiling before the jam is ready to set. In some countries, you can buy pectin in the shops. By adding it to the mixture with the sugar as it boils, you will cut the cooking time. 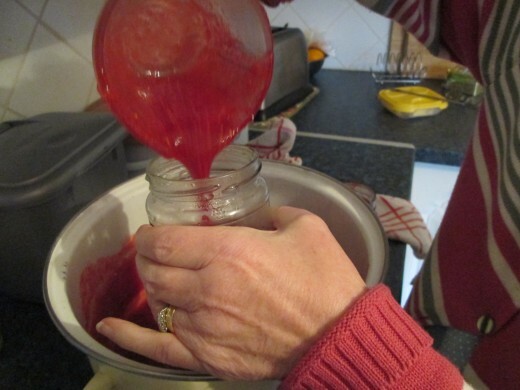 Sterilize the jam jars by washing them in hot water and then putting them on a tray in the hot oven. Remove the stalks and wash the strawberries. Crush them either by using a potato masher or by putting them into a blender. Add the sugar and mix under a low heat until it is dissolved. Boil the mixture in the pot, stirring often. If the jam begins to froth on the surface, add a knob of butter and stir it in. After about thirty minutes remove the saucer from the freezer. Take a small amount of jam from the pot with a spoon and put on the saucer. Wait five minutes and test the jam. Put your finger at the top of the jam on the saucer and run it down the middle. If a space is left where you ran your finger then the jam is set. If it is runny then continue to boil the jam for a further ten minutes and try again. When the jam is ready remove the jars from the oven. Make sure to add the lid onto each jar before you fill up the next one. Crush them loosely allowing about a half of them to be in larger bits. Pour into plastic containers and allow it to go cold. You can use for adding to ice cream, pancakes and rice. Hello Linda, Glad you enjoyed the article and videos, thanks for stopping by. 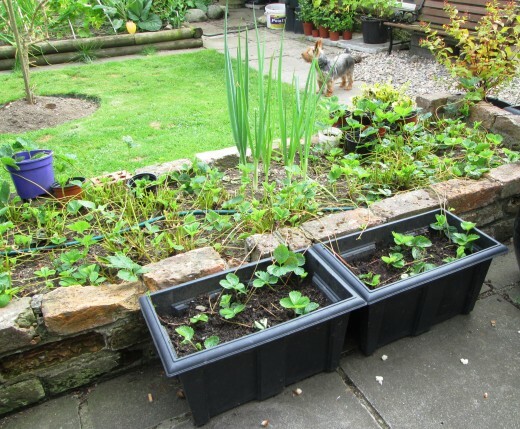 Great article on how to grow strawberries in a container. Good videos as well. I enjoyed watching them. Thank you. Strawberries are easily grown in a small garden and the rewards of fresh strawberries and cream are well worth the work during the year. This is a great article on growing strawberries keep up the great work and I will keep reading. Yes Vil Far I do agree that strawberries grown in your own garden taste so much better than any bought in the shops. Once they are planted correctly looking after the plants is usually very easy. 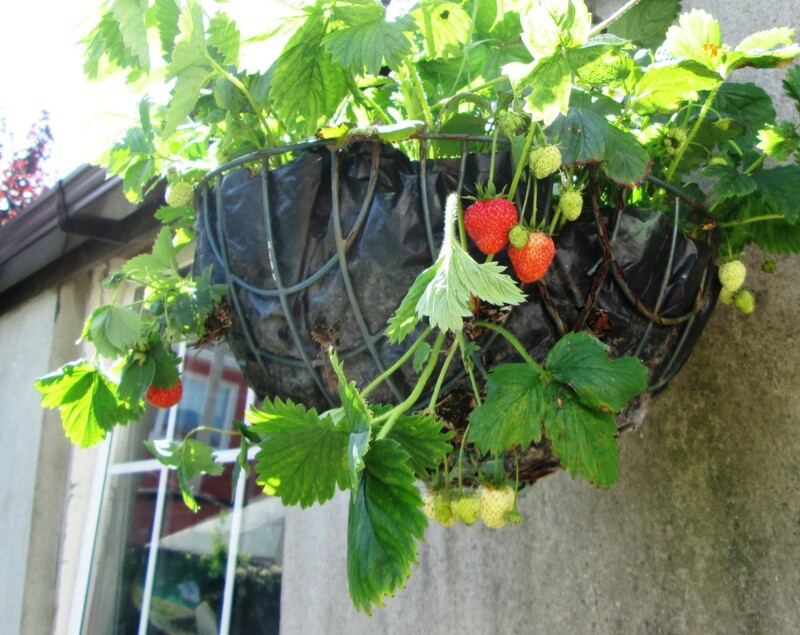 So if you like to eat strawberries and have a small patch of garden or somewhere to hang a basket on the wall then growing them is a good idea. I grow strawberries in my garden and the taste has nothing to do with the taste of varieties available in grocery stores! Mine are so aromatic and sweet, regardless of the fact that I don't fertilize or take any special care of them. This hub is great and the jam recipe is currently making me hungry. Thank you for the great tutorials! 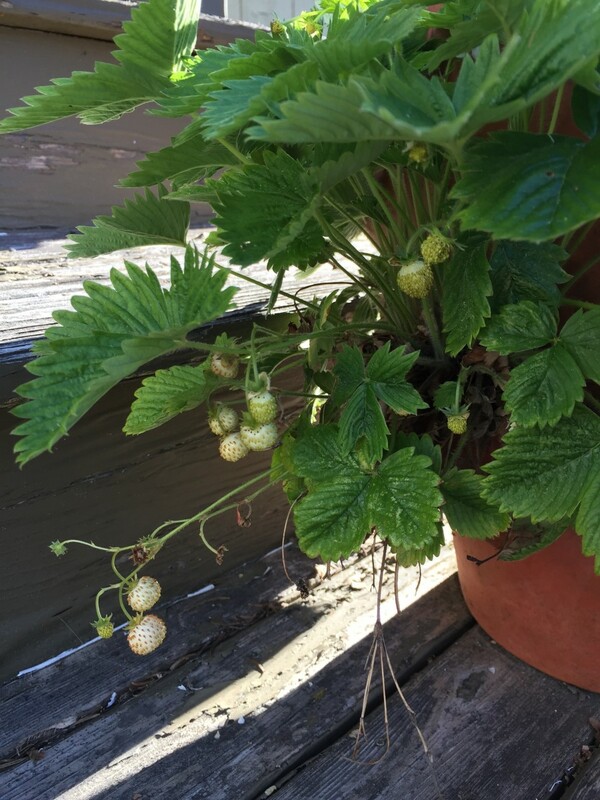 The strawberry hanging basket does take a while to plant but it is really well worth it. 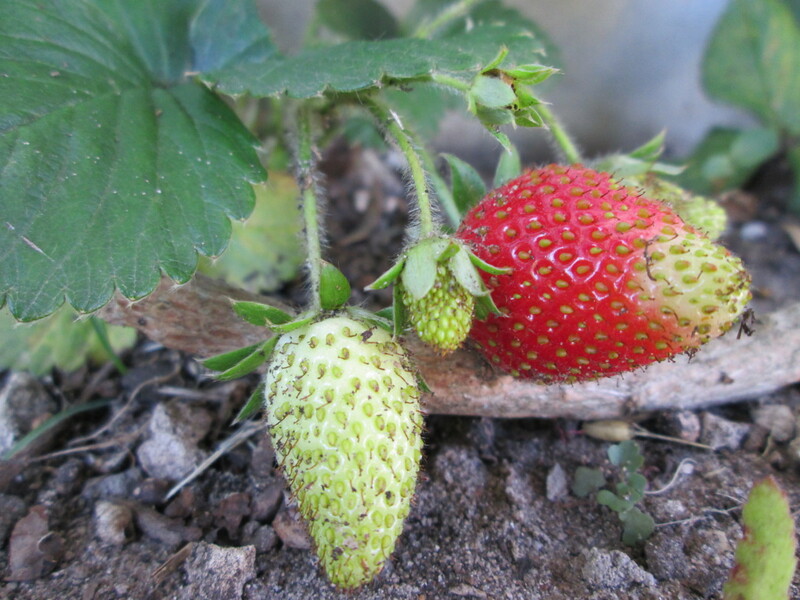 Your strawberries will grow big and juicy and be off the ground so there will be no wastage. Wonderful tutorials, tips and the jam looks fantastic! I am inspired to try the hanging basket to grow strawberries. I love fresh items from the garden. Our climate isn't the best for growing, however. you make it look so easy, im going to try the hanging basket. I too just retired and have a whole garden to grow things. im going to read your other hubs on gardening, to see what I fancy. Thank you for you great hubs, they are so easy to follow, especially love all the photos . Yes raymondphilippe I do love gardening and growing fruit and vegetables. Then I get to take photos and write about it too - heaven lol. Another labor of love. I can see that by going though your hub. The pictures make it really come alive. Voted up and awesome. That's a shame lobobrandon that you have nowhere to grow strawberries. Sorry for making you jealous lol. I was the same for years when I had no garden or even a patio to grow anything. I gathered lots of gardening books and watched all the programs on TV. Now that I am retired I finally have a small garden to lose myself in. 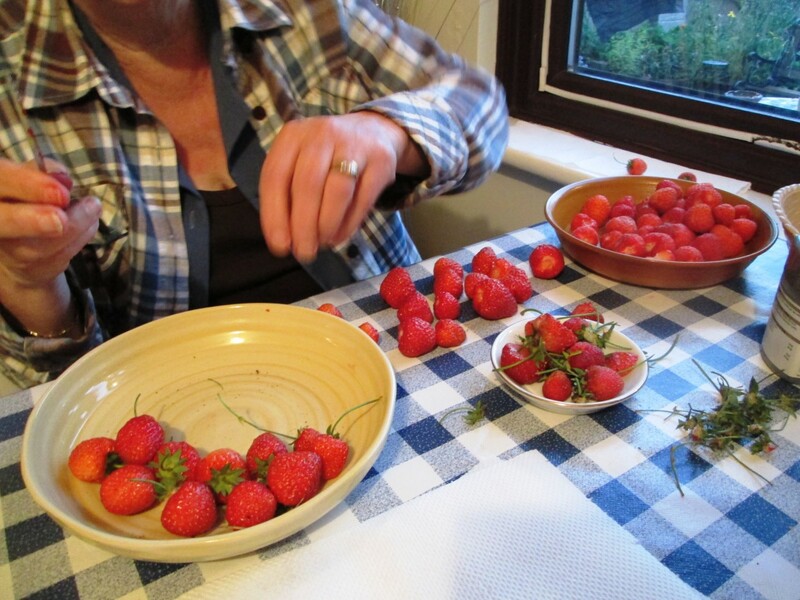 Yes Patsybell I agree that the strawberries grown in your own garden taste so much better than any bought in the shops. Fresh local strawnerries are the best. Enjoyed your hub.